← I have my first book signing! As has happened a few times in the history of this blog, an event which I wrote about from a historical standpoint is now unravelling as a live event. A few months ago I wrote on the treasures of the missing treasures of bad King John and several other missing treasures including Nazi gold and this week it has been revealed that a possibly huge horde of looted Nazi treasures is about to be uncovered in Poland. When WW2 ended, Europe was in tatters from the west to the east. Nazi Germany had looted everything worth anything from France all the way to western Russia. Immediately after which Soviet Russia then confiscated major treasures and works of art from across Eastern Europe, some of which the Nazis had themselves stolen and others were legitimately held treasures in Germany. Visiting some of the magnificent palaces in Berlin and Potsdam will quickly reveal how many works of art were stolen and taken back to Russia which even now the authorities there are reluctant to talk about. When the war finished, loyal and quite senior Nazis fled Germany under cover and in disguise often aided by sympathisers or paid for by obscene amounts of cash. Many were arrested by British and American forces whilst others fled abroad, often to South America either to plot a future Nazi revival or in latter years to simply live out their days in peace. One simply has to watch the chilling but incredible German film Downfall or Der Untergang to see how things fell apart at the end and how orders by relatively secure officers simply had no meaning to those enacting them with many not even reaching the lower ranks at all as lines of communication broke down and the poor desperate German foot soldiers were left to flee for their lives or surrender, both of which carried a greater possibility of death than disobeying commands with the war all but over. When a city was about to fall, often the treasures were looted and hastily put on trains even as Allied forces were hot on their heels as Nazi generals were unwilling or unable to admit their forces were about to be forced to retreat. One of the biggest mysteries has always been about what happened to a Nazi train apparently filled with gold and treasures which left the western Polish city of Wroclaw (then Breslau) to Walbrzych (then Waldenburg), however it never reached its destination and simply vanished into thin air. 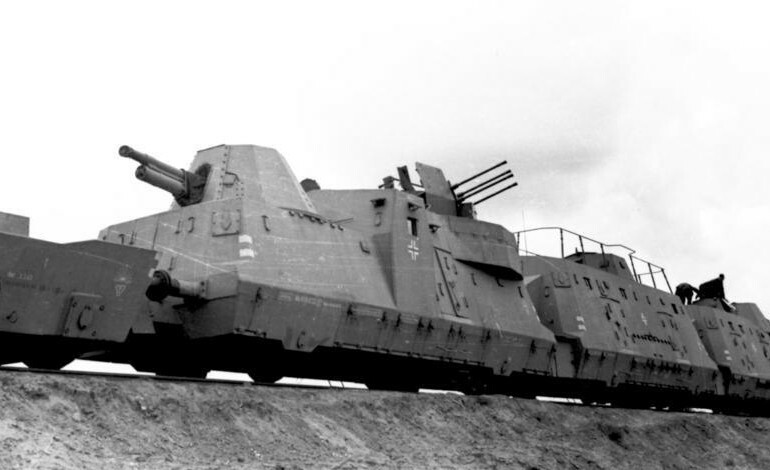 Local people have searched for this train for 70 years and never found it and it had long ago taken on the status of another mythical Nazi treasure hoard. That was until the deathbed confession of an as yet unnamed person who was involved in concealing it. My guess would be that some low ranking German soldiers or local Polish officials nominally aligned to Germany realised that on the train they would be a sitting duck and thought they’d be safe and possibly wealthier if they abandoned the mission as quickly as possible. Maybe the Germans thought their retreat was only temporary and that they could return to claim their booty after the war this was made impossible due to the Iron Curtain and the facts that Polish borders in the west were changed to compensate for Russia claiming territories in the east. The local area in Poland has miles and miles of abandoned quarries and railway tunnels and it seems likely that the train was hidden deep underground with the entrance way collapsed either deliberately or in the course of the war. Książ Castle – could untold treasures be hidden in the tunnels under the castle or 150 metres of booby trapped train carriages. 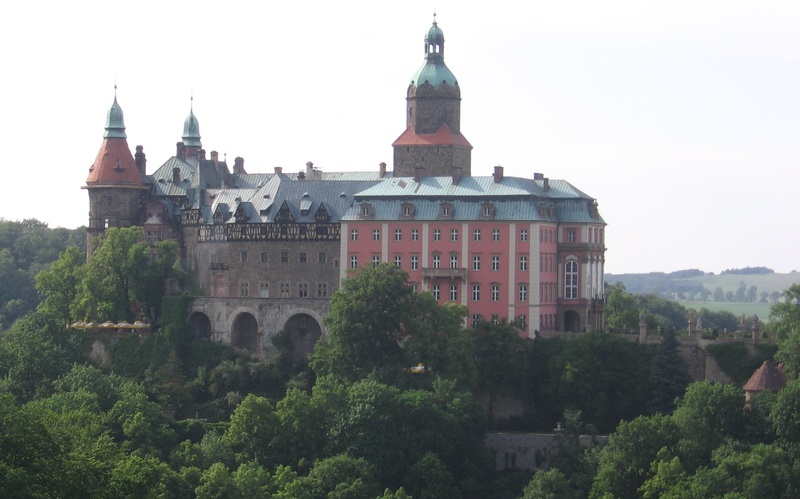 Witnesses described a 150 metre long train entering a tunnel under Ksiaz Castle but noting that it never re-emerged and the location of that particular tunnel was lost. Local Polish officials yesterday confirmed that they have pinpointed the train using ground penetrating radar on a 4 km stretch of track between Wroclaw and Walbrzych but have warned treasure hunters not to go looking for it due to the possibility that is has been mined and booby-trapped though to me that sounds quite unlikely and the warnings are likely to deter people running off with any treasures. The train is said to be armoured which is enough to demonstrate it is carrying something special. It could be unknown Nazi documentation, works of art, jewels or gold even though the latter could still be in the form of gold fillings of the thousands of Jewish prisoners who died in the nearby camps. Apparently the train was located by a Polish and a German man who are requesting a 10% finders fee from the Polish government for whatever is inside. It must be said that similar discoveries are predicted every few years but this is the first time a Polish Minister has confirmed it. This entry was posted in history, WW2 and tagged Downfall, Germany, history, Książ Castle, Life, Nazi Gold, News, Poland, Trains, Treasure, Tunnels, WW2. Bookmark the permalink. 3 Responses to Nazi Gold Train Found In Poland After 70 Years? This is a truly amazing story and I’m followwing it wwith interest. There could be some valuable lost painting on board! A great article. I saw this on tv and wondered if it was true. Evidence of the train has yet to come forward so it will be interesting to see if they find anything.